Cash-strapped Air Zimbabwe is cashing in on the on-going Zimbabwe International Trade Fair (ZITF) with all its flights into the second city fully booked until the end of the business jamboree on Sunday. 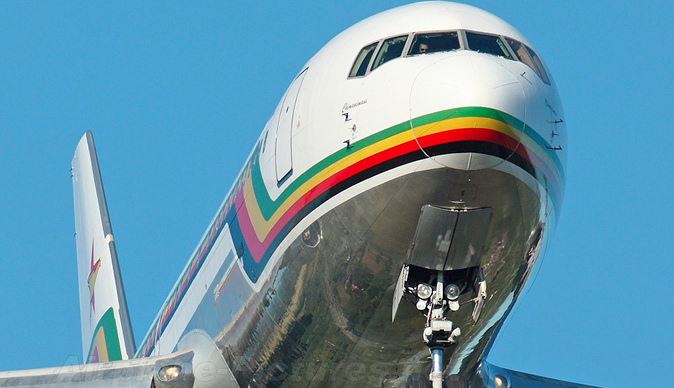 AirZim, which is saddled with huge debts, has been flying domestic routes three times a week, but the national passenger carrier has had to schedule daily flights to accommodate delegates streaming into Bulawayo for the ZITF. A return ticket from Harare to Bulawayo cost about US$350. Officials at the airline said the daily flights between Bulawayo and Harare would continue after the ZITF in order to stimulate air travel ahead of the United Nations World Tourism Organisation General Assembly being co-hosted by Zimbabwe and Zambia in August. Anna Hungwe, the Civil Aviation Authority of Zimbabwe's public relations manager, who was among the people that failed to secure a seat on an AirZim flight to Bulawayo for the trade fair this week, said ZITF had offered the airline an opportunity to enhance its image. "The ZITF has always been a time when the airline receives a boost in terms of income as people love air travelling as it is more convenient and, at a time like this, people value their time as well as (a service that offers) value (for money)," she said.